$12 MILLION PEGASUS NEXT FOR MIDNIGHT STORM? Under Triple Crown-winning jockey Victor Espinoza, Gormley, winner of the Grade I FrontRunner Stakes Oct. 1, worked five furlongs at 9 o’clock Monday morning on a “good” main track in 1:00.60 for Saturday’s Grade III Sham Stakes at one mile, the first major steppingstone on the West Coast to the $1 million Santa Anita Derby on April 8. Cool Samurai also was timed in 1:00.60. Owned by Jerry and Ann Moss of Zenyatta fame, Gormley has not raced since the Breeders’ Cup Juvenile on Nov. 5 when he was seventh after bobbling at the start of the 1 1/16-mile race and went four wide from his number seven post position in a field of 11. In addition to Gormley, Sham probables include American Anthem, Blabimir, Colonel Samsen and Term of Art. John Sadler has newly acquired Conquest Daddyo set to run in Saturday’s Grade II, $200,000 San Gabriel Stakes scheduled for 1 1/8 miles on turf. Bred in Canada where he formerly was trained by multiple Sovereign Award winner Mark Casse, Conquest Daddyo has a 3-1-1 record from 10 starts with earnings of $311,891. 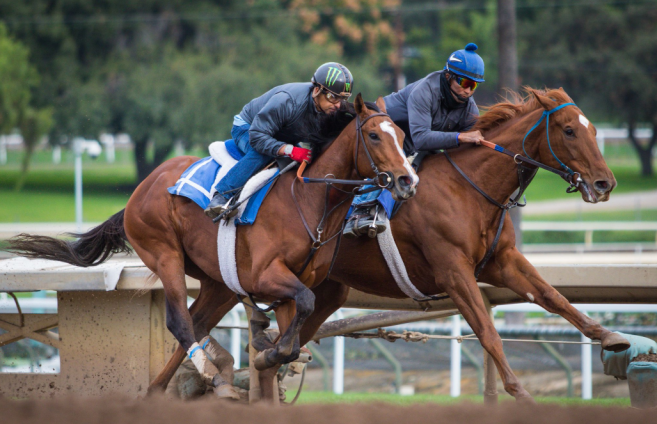 Sadler added that champion three-year-old filly of 2015 Stellar Wind “is on the track every day and will start breezing later this month,” with the Grade I Santa Margarita Stakes March 18 as a major objective. Probable for the San Gabriel: Flamboyant, no rider; Itsinthepost, no rider; Perfectly Majestic, Victor Espinoza; Ring Weekend, Drayden Van Dyke; and Twentytwentyvision, Mike Smith. With the weatherman playing havoc and conditions ranging from sunshine to rain seemingly minutes apart in recent days, trainer Mark Glatt plans to enter Cadet Roni in Saturday’s Grade III Las Cienegas Stakes scheduled for about 6 ½ furlongs on the hillside turf course, even though she has never run on the course. Cadet Roni, a five-year-old daughter of 2008 Santa Anita Derby winner Colonel John, was bred by WinStar Farm and is owned by long-time Glatt clients Al and Sandee Kirkwood. She won the restricted Wishing Well Stakes at Santa Anita last January and was third in the Grade III Las Flores in her most recent start 10 months ago, last March 20. 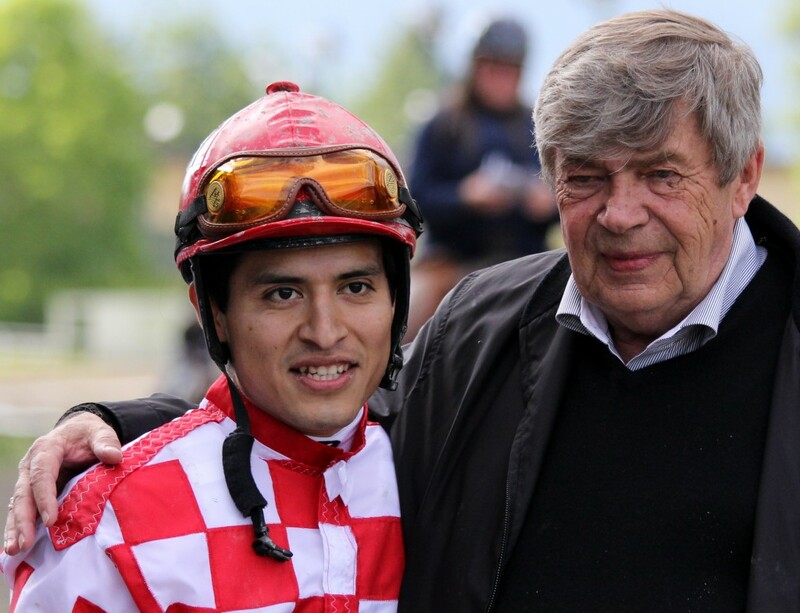 Probable for the Las Cienegas: Cadet Roni, Rafael Bejarano; Paquita Coqueta, Flavien Prat; Prize Exhibit, Mike Smith; and Rapid Rhythm, Kent Desormeaux. Paquita Coqueta worked four furlongs on the main track in 47.80 for Richard Mandella. Midnight Storm, at home on any surface, could make his next start in the $12 million Pegasus World Cup Invitational at Gulfstream Park on Jan. 28, although as of this morning, no decision had been rendered. “So far, so good,” trainer Phil D’Amato said Monday, less than 24 hours after the six-year-old son of Pioneerof the Nile rolled to a 1 ¼-length victory as the 3-5 favorite in Sunday’s Grade II San Pasqual Stakes. “We took him out this morning and gave him a little jog and he’s no worse for wear,” D’Amato said. “We’ll see (about the Pegasus). Midnight Storm has earned $1,461,110 from 10 wins, three seconds and a third in 21 starts, seven on turf, one on dirt and two on wet/fast surfaces where he is unbeaten. FINISH LINES: Probable for next Sunday’s Grade II, $200,000 Santa Ynez Stakes for three-year-old fillies at seven furlongs: It Tiz Well, no rider; Miss Sunset, no rider; Princess Karen, Rafael Bejarano; Resilient Humor, Kent Desormeaux; Shane’s Girlfriend, Flavien Prat; and Unique Bella, Mike Smith . . . Monday morning Keith Desormeaux was still basking in the glow of Decked Out‘s pulsating nose victory in Saturday’s Grade I American Oaks, with no word on the next race for the chestnut daughter of Street Boss. “We’re still celebrating,” the trainer said, “but the Grade I puts her in another category. The owners are probably thinking about a breeding career eventually, but she’s a very sound horse and the immediate plans are for her to continue racing. We had an amazing year in 2016, but Texas Red kicked everything off for us when he won the Breeders’ Cup Juvenile in 2014. It’s got to end sometime, but we’re sure going to appreciate it while it lasts.” . . . Trainer Terry Knight, who saddled Big Energy in Sunday’s fourth race, has 12 head on hand at Los Alamitos for the Santa Anita meet. Knight had been training out of Pleasanton, but since the Bay Area track’s stable area closed last month, he moved his stock south, where he had been a mainstay until 1995 when he went to Northern California . 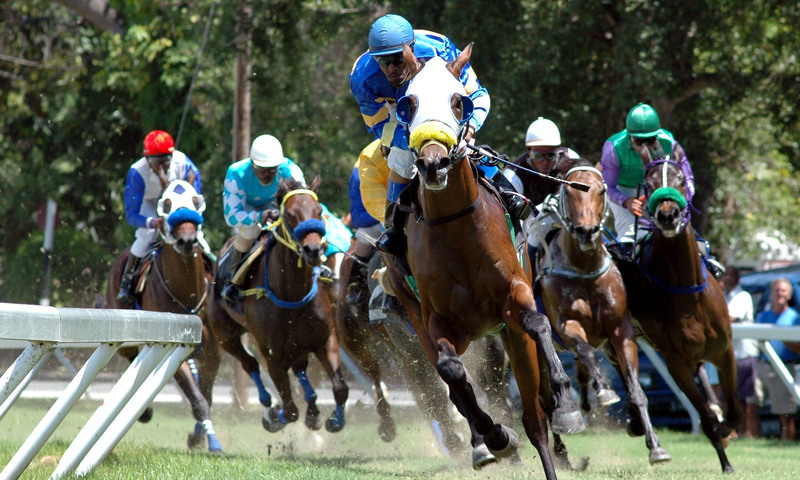 . . Santa Anita will be dark for live racing Tuesday through Thursday. 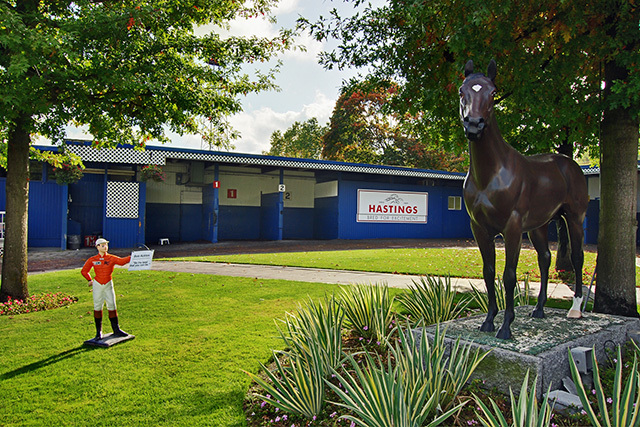 Live racing resumes Friday, Jan. 6, at 1 p.m. Admission gates open at 11 a.m. . . . Infobedad‘s 26 ½-length victory in Sunday’s sixth race is believed to be the largest winning margin ever at Santa Anita. “It’s the biggest I remember,” said Equibase chart caller Mike Schneider, at the helm since 1993. Tammy Boag, who has been handling photo finishes for Plusmic since 2009, said it was the largest during her time. Infobedad, a six-year-old Argentine-bred horse owned by Hronis Racing, trained by John Sadler and ridden by Tyler Baze, covered 1 1/8 miles under 122 pounds in 1:48.26 in a field of six $25,000 claimers . . . Players wishing to gain a seat in the 2017 National Handicapping Championship Challenge in Las Vegas Jan. 7 or get a head start in the 2018 event can buy into Santa Anita’s Players Choice contest for $500. The top five finishers in the Players Choice competition will have their pick of a 2017 or 2018 NHC Challenge entry. Cash prizes will be awarded to the top four Players Choice finishers: $10,000, $2,500, $1,500 and $1,000. For further information, visit santaanita.com/contest. Open backstretch for set up on the Sunday January 29th. Horses may start to arrive on February 1st. Track will be open for training on Friday February 3rd.